How do I join the Mayflower Society? Please visit the Mayflower Society's web page for more information. MayflowerHistory.com is not affiliated with any society or group, so cannot provide membership information or access society records. 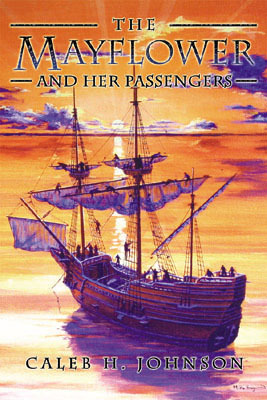 Is the Mayflower passenger list complete? Yes. Plymouth Colony governor William Bradford wrote the passenger list himself, so we know exactly who was on the ship. His passenger list can be validated with other contemporary documents as well, including the signers of the "Mayflower Compact," and the individuals named in the 1623 Division of Land. What ship did my ancestor come on then? In most cases, the ships your ancestors came on have not been preserved in the historical record. There was no law that required passenger lists to be kept and maintained, and as a result almost none survive. The main sources for most passenger lists are English records (of which there are not many), or journals (of which there are not many). Sometimes land and court records can help you determine what ship your ancestor came on, or at least narrow their arrival time down. Was there a "second sailing" of the Mayflower? There were several ships named the Mayflower that made trips to America in the 1600s and 1700s, including one that brought colonists to Massachusetts in 1629 and 1630. None have surviving passenger lists. The Pilgrims' Mayflower and her master Christopher Jones went back into the French wine trade for a couple years before being decommissioned and scrapped in 1624. Can you tell me if I am a Mayflower descendant, or do you know anything more about my lineage? No, I really can't tell you much more. A genealogy "how-to" book can be purchased from most bookstores or checked out from a library. 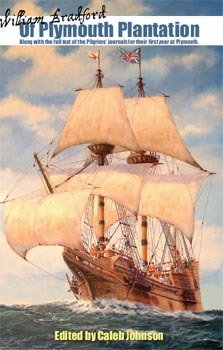 By some estimates there are more than 25 million living descendants of at least one Mayflower passenger. 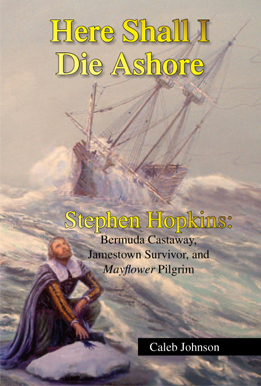 The best resource for Mayflower descendants are the Five Generations publications of the Mayflower Society. Can I link to your web site? Will you link to my web site? Can I use your material on my website? You may link to any page of MayflowerHistory.com. MayflowerHistory.com does not participate in "link exchanges." MayflowerHistory.com's copyright policy can be found on the Introduction Page. Why are some dates on your web site 10 days different than what is in the encyclopedia? Why are some dates "double-dated"? In the 17th century, England used the Julian calendar. In 1752, England switched to the Gregorian calendar (the one we use today). There is a ten-day difference between the two calendars during this time period. Dates on this web site are displayed as Julian dates; encyclopedias may choose to "modernize" the dates to the Gregorian calendar by adding 10 days. Also, the Julian calendar flipped the year on March 25, not on January 1. Therefore some dates are written like 26 February 1610/11, to indicate it was still 1610 on the Julian calendar, but the year was actually 1611 by our modern calendar. Why is that person's name spelled differently than it is in my records? Why is that word spelled so strangely? The English dictionary was not "invented" until the 1750s, more than a hundred years after the Pilgrims came to America. People in the 17th century did not pay particular attention to spelling, and without an official dictionary there was no "wrong" way to spell anything. Many people could not write anyway, so they could care less how other people spelled their names in the official records. One of my ancestors had his name spelled 7 different ways in the same document--and none of them match the way it was spelled on his gravestone. People really did not care if it was "Winslow" or "Wynslow"; "Soul" or "Sowle" or "Soule"; "Doty" or "Dotten" or "Doughtie"; "Miles" or "Myles"; etc. Were there any blacks on the Mayflower? There were no blacks on the Mayflower. The first black person known to have visited Plymouth was 30-year old John Pedro, presumably a servant or slave, who stopped at Plymouth in 1622 before heading on to Jamestown, Virginia. There are no records of any blacks living in Plymouth Colony until 1643, when an individual referred to simply as "the blackamore" is listed as one of the men between the ages of 16 and 60 who was capable of carrying arms in the defense of Plymouth. The next mention of a black in Plymouth records seems to be a 1653 court record mentioning a "neager maide servant of John Barnes" who testified on her master's behalf in a lawsuit against John Smith. During King Philip's War of 1676, a black named Jethro was captured by the Indians, but taken back by the colonists a few days later. In a subsequent court action, he was ordered to be a servant for two more years and then he was to be freed.